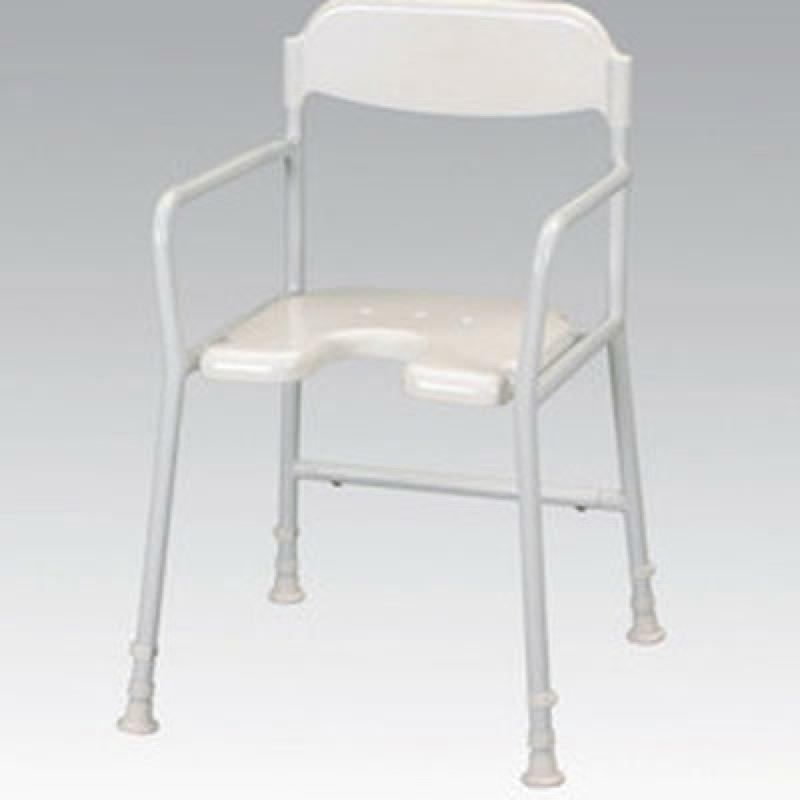 The White Line Shower Chair has armrests at the sides of the seat, and a plastic backrest to provide additional support and comfort. Also available as folding. The White Line Shower Chair has armrests at the sides of the seat to provide additional support when raising from or lowering to the stool. The plastic backrest offers additional support and comfort. Also available as a folding chair. Seat Height 18½ to 22½"